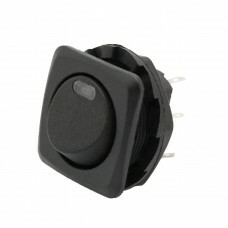 6 mm Tactile Switches: Compact size measures only 6mm x 6mm, offers a momentary action in a SPST Normally Open configuration. 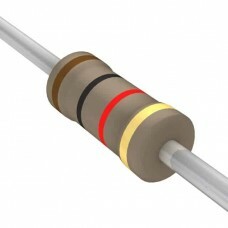 Have a life expectancy of 100,000 operations. 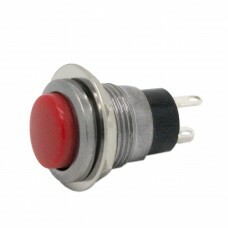 This is a common size used throughout the industry and is the switch of choice on many of our product designs. 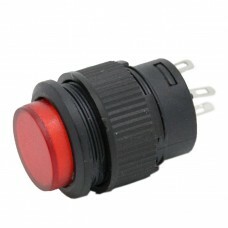 12mm Pushbutton with Green Button Normally Open Contacts 12mm Spring return 2-pin momentary pushbu..
12mm Spring return 2-pin momentary pushbutton. 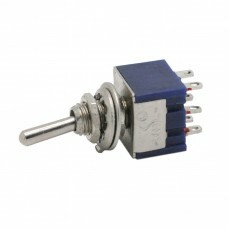 Offers a momentary action in a SPST Normally Open c..
16mm Spring return 2-pin momentary pushbutton. 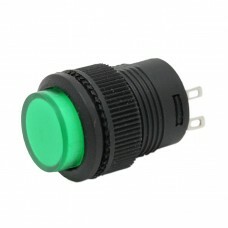 Two additional leads connect to LED in switch housing..
16mm Pushbutton with Green Button LED Backlight - N/O Contacts 16mm Spring return 2-pin momentary p..
Panel Mount Toggle Switch (DPDT) Conveniently Mounts In 1/4" (6mm) Hole DPDT sub-miniature tog..
Miniature Rocker Switch with LED Indicator Specification: - 20mm (13/16") mounting hole - Ra..